The Wedgemere bench is simple in appearance. Can easily be stored under any dining table. 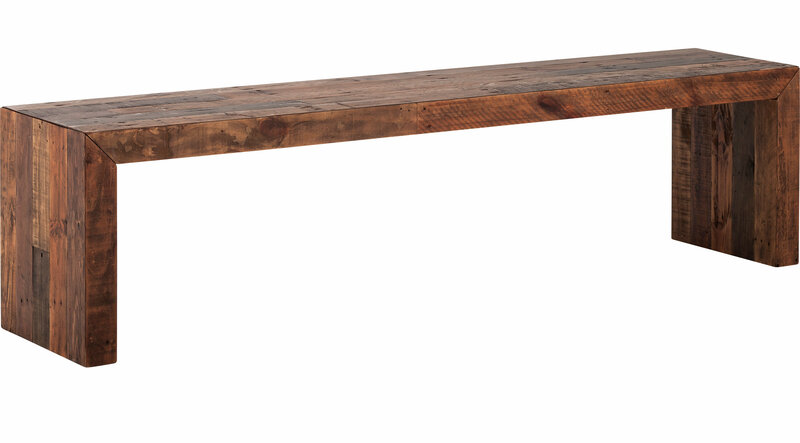 Sturdy, rustic and made from recycled pine.